New to backcountry snow activities? Need practice using your beacon? Then this is the event for you : ) Join SheJumps for a Beacon Scavenger hunt on the afternoon of Sunday, February 17th. We will have multiple prizes (big and small) which you can win by using your beacon at Edison Sno Park. 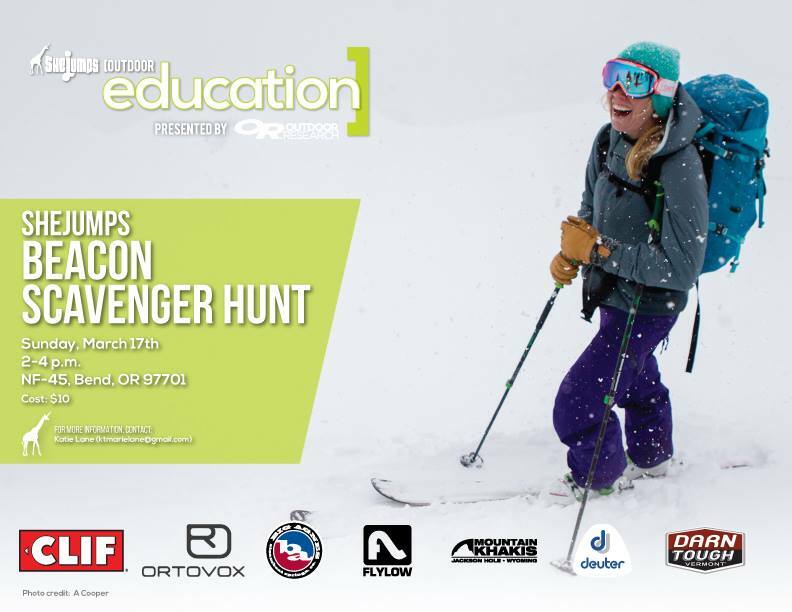 Lindsey Clark, an AMGA trained ski-guide will be at the event to give a brief beacon demo and assist anyone who isn’t confident using their beacon. As any backcountry traveler knows, continuing your education and honing the skills that keep you safe in the backcountry is important! Note* A beacon is required for this event. If you do not have one, please comment in the discussion or message Katie Lane and we will try to set you up with one.